Greg Tharpe is a Spiritual Messenger and Life Transformation Master. His thought provoking and profound spiritual insight brings a new holistic spiritual perspective of God, Self, the Universe, Truth and life which reveals ancient secrets in a new more enlightening, empowering and enriching way. Greg’s profound practical spiritual teachings about the mind-life connection causes transformation and increased faith in one’s higher power; leading to greater abundance, happiness, healing and holistic success. 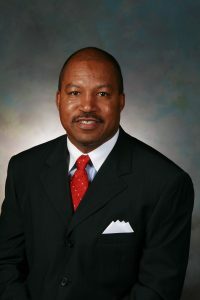 His mission and passion in life is to educate and inspire a higher spiritual awareness and consciousness of the divine spiritual power and potential in all human beings and it’s ability to destroy health, money, relationship and other problems for the creation of a better world. 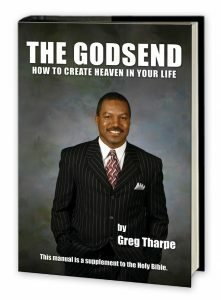 Greg’s book The Godsend – How to create Heaven in Your Life, is a must read for spiritual seekers of greater clarity, truth and fulfillment. 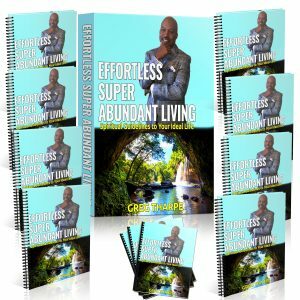 The Effortless Super Abundant Living Program is an in depth interactive holistic self improvement and life transformation course. The course brings to awareness all that is necessary for you to create an abundant living while revealing your true purpose if you are ready to explore the depth of your soul.